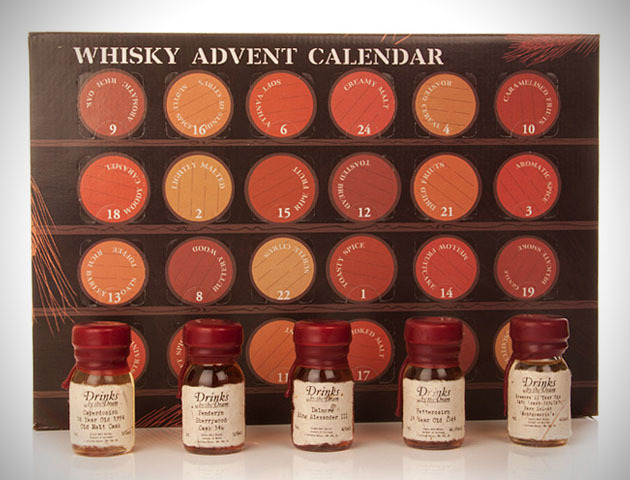 Operating just like your standard advent calendar, but infused with booze, this bad boy lets you sip a shot of high quality scotch whisky for each of the 24 days leading up to Christmas. Created by the team at Drinks By The Dram, this calendar made its debut on the retail scene last holiday season, and is back for 2013 by popular demand. Each of the 24 windows houses a different 3cl dram of whisky for you to enjoy as the holidays quickly creep up.